Residents of San Jose's Alum Rock neighborhood were downright frightened after an 88-year-old woman was senselessly beaten by a teen earlier this week during a home invasion robbery. Now they're just plain angry. They feel crooks are getting bolder and will hurt anyone in their way. That's what police fear happened when Flo Douglas was beaten by two men who entered her home through a side door Monday. Police arrested 19-year-old Zachary Cuen, of San Jose, on Thursday. They said he's committed similar crimes before. Now, the East San Jose neighbors of Douglas are taking a stand. "You think someone might attack me?" asked resident Virginia Villalovos. She was asked in response: "If they did, what would you do?" Her answer: "That's a good question. I don't know." 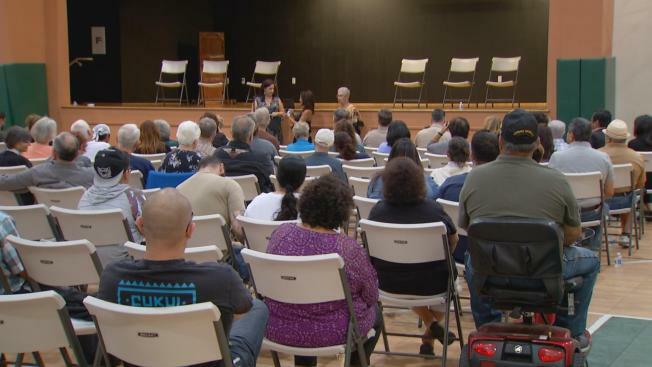 The Alum Rock neighbors, who gathered for a community meeting Thursday night, are turning fright into a new community shield, vowing to stop crime in its tracks. "We've got to keep an eye out, we've got to keep an eye out for each other," said Salvador Carrillo. They decided to launch a new version of know your neighbor, watching out for everyone as if they're family. "It's about how to watch your back and especially how to take care of the elders," Jesse Haro said. Some residents believe they saw Cuen in action before Monday's attack. "He was looking into my sister's car, my daughter's car," said Elvia Carrillo. "Then he checked my neighbor's car, but I guess he didn't like what he saw, so he moved on." Neighbors know nothing is guaranteed to stop such violent attacks, but they feel if they protect each other, along with help from law enforcement, it will keep the crooks guessing. "Now it's like you have to be very careful inside your own home," Villalovos said.